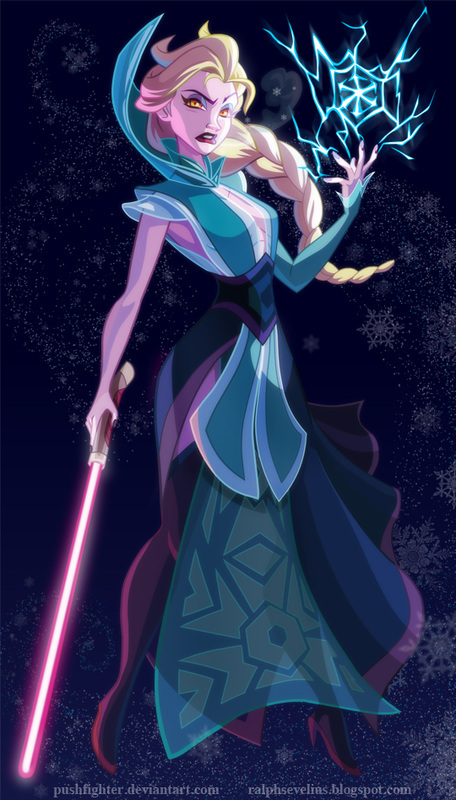 What if Disney Princesses could use the Force? We found this on Deviant Art. An artist named pushfighter and not pushfinger or pathfinder as their profiles says. When we saw these we asked ourselves one question, What if Disney Princesses could use The Force? This is an excellent collection of art work and we love that pushfighter did not just make them all Jedi’s. There are a few Sith Lords and one sleeping beauty frozen in carbonite. If you love the idea of Disney Princesses as Star Wars characters there are prints for sale on pushfighter deviant art page and you will also find X-man art work and other super hero themed prints.